"Habits to feel good. One step at a time." A happy marriage and fulfilling relationship are not magic. However, the feeling when you're living it IS magical. That said, true success happens when you take action on a daily basis. Therefore, love is an act of DOING, not having. 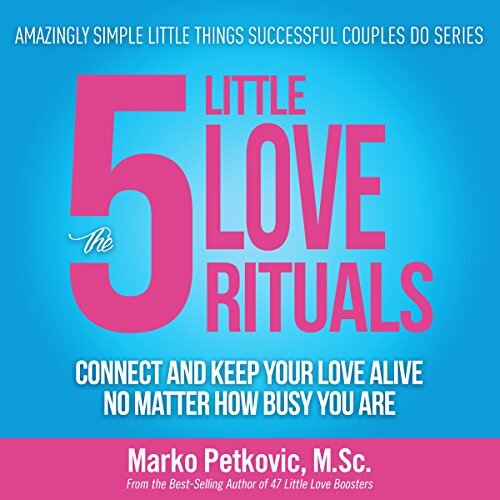 In his books, Marko provides daily action plans for the most important area of your life--your personal relationships. Unlike other personal development guides, his content focuses on taking action. So instead of reading over-hyped strategies and tactics that rarely work in the real world, you'll get practical and down-to-earth advice that can be immediately implemented and will pass the BS detector. Marko is also the father of two boys. He would like to consider himself a kickass husband and father, but he still screws up every now and then. When this happens, he says to himself, "Tomorrow, I'll do better," and sees those everyday family challenges as inspiration for his own work. Learn more by scrolling down the page and discover how you can start making your own magic, right now.